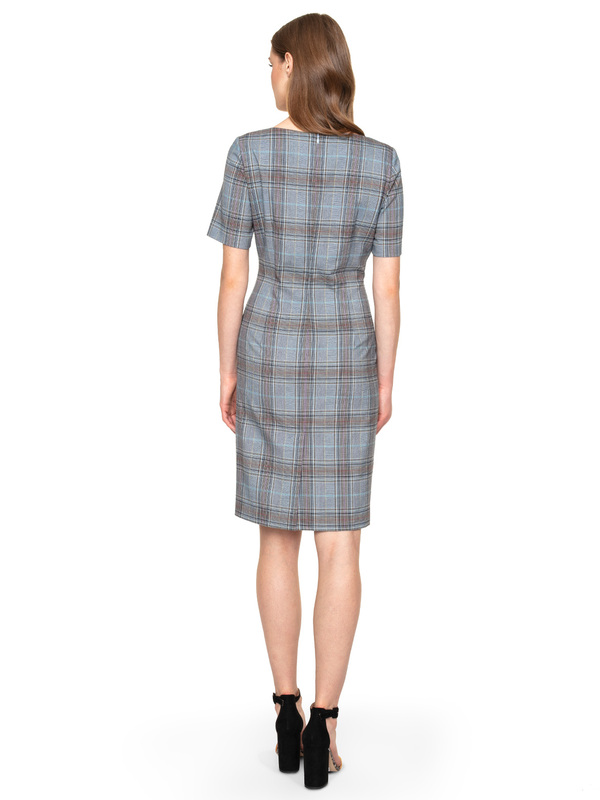 Willow is a feminine dress from a wide range of chequered elements of Potis & Verso clothing. Due to its elegant character, the chemise dress Willow will be perfect for office outfit or official meetings. It has a mini length, a semicircular neckline and short sleeves. It has a loose-fitting cut, but adheres to the waist or décolletage. The colours of the dresses are blue and brown. Willow’s dress sets the tone for elegant styles. Simply add simple accessories in a uniform colour scheme. Mustard or beige shoes and a handbag are perfect for this role. The exposed hands and neckline should be decorated with gold jewellery or a chic watch with a large face.